Extremely rare, old Marathi movie poster of the black and white film, Ramshastri (1944) for sale. 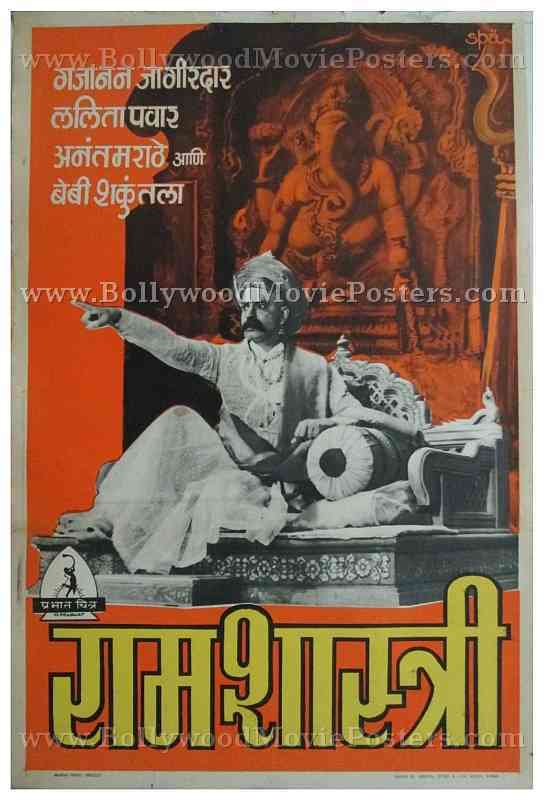 This is an actual surviving original old Marathi movie poster of the 1944 film which was produced by Prabhat Film Company and directed by Vishram Bedekar, Gajanan Jagirdar and Raja Nene. Printed and circulated during the original first release of the film in Bombay (mid 1940s), this old Marathi movie poster was originally designed for publicity of the film but never ended up being used. This old Marathi movie poster has been graded ★ As Is due to a tattered upper border. Apart from the upper border, there is no other visible damage on the poster and it is overall in perfect display condition.